ADAPTABILITY HAS ALWAYS BEEN KEY TO MANUFACTURING IN THE WEST MIDLANDS. IT HAS A LONG HISTORY OF COPING WITH THE RISE AND FALL OF WHAT WERE ONCE CORE INDUSTRIES AND SEIZING ON NEW TECHNIQUES AND PRODUCTS TO REPLACE THEM. The West Midlands’ adaptability is why, alongside traditional foundries, potteries and metal-bashers, you can find some of the world’s leading aerospace and automotive companies, as well as firms on the cutting edge of hi-tech, automated manufacturing, Industry 4.0 and the ‘Internet of Things’. 2018 was challenging, from the chill winds of the ‘Beast from the East’ early on and the continuing fallout from ‘dieselgate’. Uncertainty over Brexit led to some companies shelving growth plans until the situation becomes clearer but the majority simply got on with the business in hand. 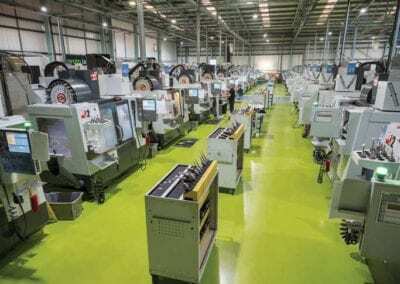 Charlotte Horobin, Midlands and East region director for EEF, the manufacturers’ organisation, said 2018 was a mixed year across the various industry sectors. While some firms enjoyed the benefits of the lower Pound since the Brexit vote in 2016, others struggled in the wake of the trade dispute between China and the US. While some were dealing with the uncertainty around diesel, there have been exciting developments in the field of electrically powered vehicles (EVs). The Warwick Manufacturing Group (WMG) is in pole position to develop the nation’s next generation of battery power, potentially making the West Midlands the home of EV technology. Aerospace saw record levels of demand from passenger airlines. The Midlands as a whole hosts more than a quarter of the UK’s aerospace industry. In Wolverhampton, nearly 1100 people work at what used to be UTC Aerospace Systems. Since a huge merger deal late in 2017, the name above the door is now Collins Aerospace but the work inside still revolves around actuation systems, whether electrical, electronic or hydraulic, primarily for flight controls. 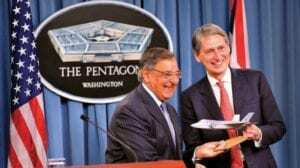 The arrival in the UK of the first operational F-35 Lightning stealth fighter aircraft – the result of the world’s biggest single defence contract – is a major milestone for the Collins Aerospace team, which designed and supplies a system of more than 60 components, specifically designed to open and close the F35’s weapons bay door within seconds, to allow the aircraft to maintain its stealth signature. The site is now working on the next generation of high-lift flight controls for passenger aircraft. Half of the investment in this £6.5 million project is in the form of a grant from the UK Aerospace Research & Technology Programme. Rather than a single power unit controlling all wing surfaces, engineers are exploring a “distributed architecture”, driving units at each station and giving pilots more precise control over individual flight panels. Ed Dryden, head of the actuation system business at the company, said research programmes like this would help keep Collins ahead of competitors as new aircraft platforms were introduced in the coming 10 to 15 years. For now, the “unprecedented numbers” of platforms reaching the deployment phase are keeping factories like Wolverhampton busy. 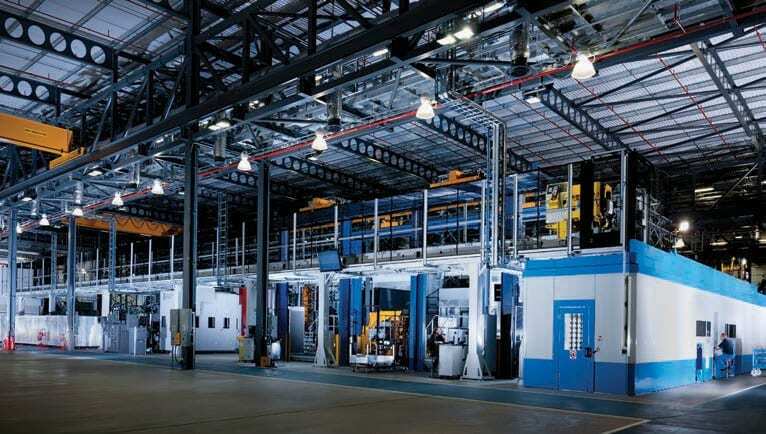 JaguarLandRover (JLR) is the single biggest manufacturing business in the West Midlands, as well as being both the UK’s biggest car making business and biggest engine producer. 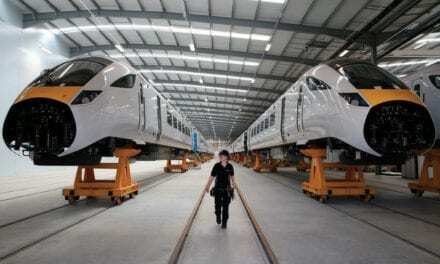 It has had to introduce a series of lay-offs and production slow-downs in the wake of falling sales, particularly in its key Chinese market, where demand halved. Chief executive Ralf Speth also directly blamed Government attitudes over diesel for a decision to lay off 1,000 agency workers in April. Just before Christmas, fears grew of thousands of job cuts to come, as JLR reduces spending by £2.5bn. The impact of the slowdown was felt across the region, among scores of suppliers. When Frank Dudley Ltd, in Birmingham, was faced with lower orders from its Tier One JLR supplier customers, managing director Grant Dudley and his team went looking for new work. 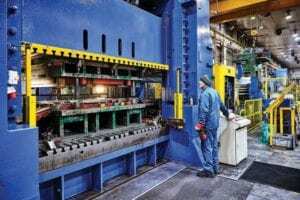 The company, which employs 58 people working on pressings, tooling and assemblies, picked up a major contract for an earth moving equipment manufacturer, a completely new customer. It has provided new tooling and is now supplying parts. Carmakers generally cut back production during the year. Dudley said the company’s turnover figure would be less than expected at the start of 2018 but forecast that 2019 looks better. Frank Dudley’s experience is better than that of some other firms. “The Society of Motor Manufacturers and Traders is talking potentially of a five or six per cent reduction in demand in 2019,” said Rachel Eade, MBE, a veteran adviser to West Midlands companies in the automotive sector. “But, in the longterm, people will still want cars and transport and companies making those vehicles will still need components. Having suppliers close by who can operate on a just-in-time basis will still make sense for them.” She suggests that companies will, however, have to change what they are making. One of the companies looking to future transport is Westfield, in Kingswinford. 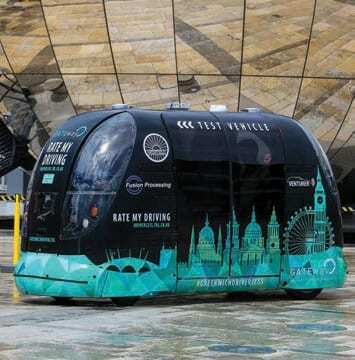 While probably better-known for its Lotus-inspired sportscars, its electrically-powered autonomous pods have been in use at Heathrow Airport since 2011 and it has just secured a deal providing air-side transport for Emirates airline, at Manchester Airport. Its pods are at the heart of autonomous vehicle development in South Korea. 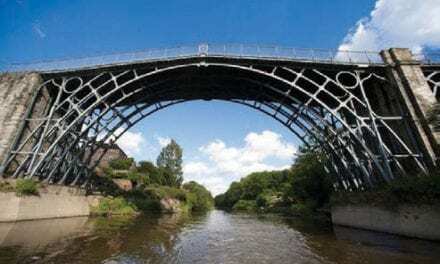 Closer to home, managing director Julian Turner is in talks with Telford Council and development firm Harworth, to create a new pod factory on the site of the former Ironbridge Power Station in Shropshire. Grainger & Worrall, a Bridgnorthbased, family-run engineering company, enjoys a stellar reputation among the premium sports car manufacturers and motorsport teams that make up much of its customer order book. It prototypes and produces short component runs of 5,000 or 10,000 parts at a time. Executive director James Grainger, one of three grandsons of the founder, has seen continuing demand and new orders from both sectors. “While there is still a market for combustion engine vehicles, particularly hybrids, we are making ourselves relevant to the electric car industry, too,” he said. The company now employs around 700 at its sites in Bridgnorth and Worcester. It has a “very interesting” order book for 2019, including parts for electric and for hybrid vehicles, and some traditional combustion engine work. While transport remains a dominant sector in the West Midlands, there are plenty of companies working in other sectors. The strength of the West Midlands supply chain is its depth and breadth, from general engineering to niche, highly specialised operations. Harco Engineering is typical of hundreds of small manufacturing businesses across the West Midlands, employing a couple of dozen people at its site on a tiny industrial estate in Brierley Hill. Run by husband and wife team Karen and Martyn Hughes for more than two decades, it’s a specialist machining and grinding business turning out precision made components – frequently one-offs – for a diverse range of customers across the UK. 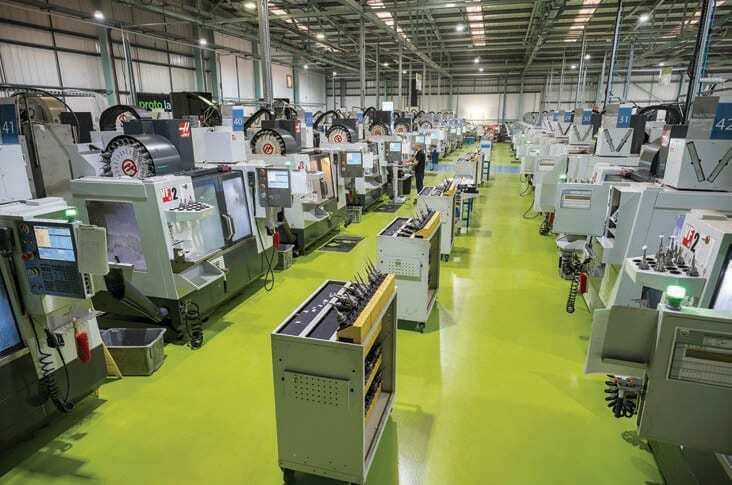 It is part of the large section of West Midlands manufacturing that isn’t involved in the automotive sector, making bespoke parts for manufacturing machinery makers and automated production lines. It has also made hydraulic cylinders for innovative vibration testing equipment and has been working on four-tonne blocks for 1930s steam engines for railway charities. “We’ve been running about 30 per cent over capacity for the last 18 months,” said Martyn Hughes. “Everything just went mad around three months after the Brexit vote, and everyone we know has been the same. Most of our customers are based in the UK and they export outside of Europe, to China, the Far East and the Middle East. At the other end of the scale sits Liberty Engineering. 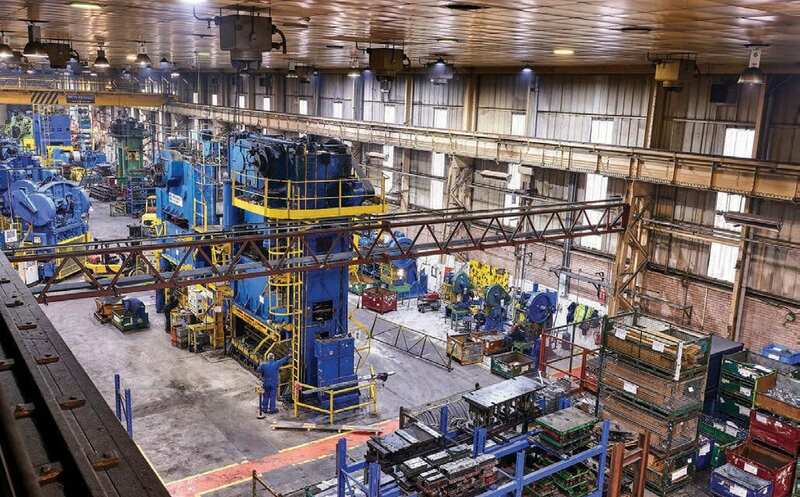 Based in Oldbury but with sites across the region, it is part of the GFG Alliance – the business built by the Gupta family that has become a major force in energy, steel, aluminium and manufacturing across the globe in just a few years. The Group employs 16,000 and has a turnover of $16 billion. 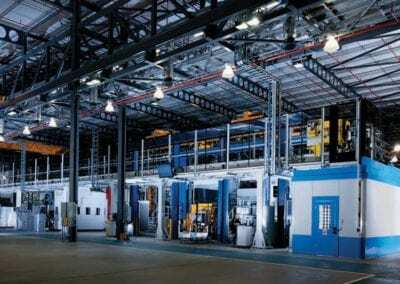 Its hydroelectricity-powered aluminium mill at Lochaber, Scotland, will supply the UK’s largest aluminium vehicle wheels production plant, as well as other sites around the country including Liberty Aluminium Technology sites at Kidderminster, Wednesbury and Coventry, as well as Liberty Vehicle Technologies at Leamington. The former Covpress site at Coventry is now thriving as Liberty Pressings Solutions, after being bought out of administration two years ago. Douglas Dawson. CEO of Liberty Industries, says it is the breadth of Liberty’s business that allows it to overcome the problems of ‘dieselgate’ and the Government’s “clunky” approach to vehicle electrification, along with its unique strategy of combining “renewable energy generation with metals production, which then feeds into downstream manufacturing”. It is a Tier One supplier to OEMs like Ford and JLR and also has technology sitting in every car across the Formula 1 grid, including braking and clutch control systems. Its businesses are involved with carbon composites, anti-vibration demonstrators, tubular chassis for high-end bicycles, manufacturing components for classic cars, braking components for yellow goods manufacturers, and others. Gtech, the cordless vacuum cleaner company founded by inventor Nick Grey, announced plans to create more than 100 jobs by starting up a manufacturing operation back at its Worcester home. It currently makes all its products in China but has indicated that, in response to feedback from the public, it could start manufacturing a product designed to be built in the UK, as early as 2019. The region has seen increasing interest in the crossover between the worlds of housebuilding and manufacturing. 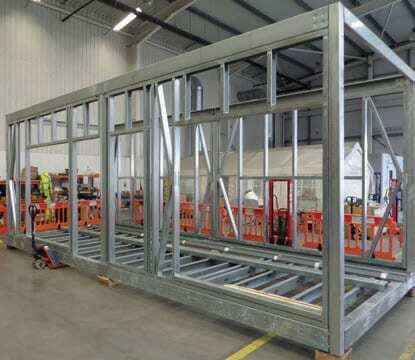 A number of factories have been set up to make housing ‘kits’ that can be assembled on a building site but one firm is taking it a step further. 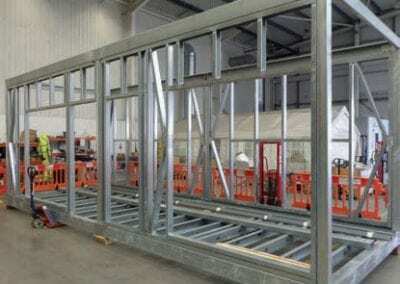 Totally Modular bills itself as “a manufacturer of volumetric modular homes aimed at the affordable & social housing market.” Its Cradley Heath factory makes steel framing; another in Tyseley, Birmingham, produces fixtures and fittings. The company manufactures a two-bedroom house as two modules: a ground floor and a separate first floor. The whole building is transported to the building site on the back of a lorry and craned into position, where it can be linked in to the mains and other services. Totally Modular estimates it can make a home in 48 hours. Director John Connolly says the system sidesteps the current shortage of specialist building skills by use of a production line system – effectively manufacturing the complete house in the factories. At full production he estimates they could churn out around a thousand homes a year, creating up to 700 new manufacturing jobs. Councillors in Coventry have expressed enthusiasm for its solution to the housing crisis, after backing their use in a joint project between the city council and Whitefriars Housing. The drive for new products and new ways of working remains a constant theme across West Midlands manufacturing. Protolabs’ focus on prototyping and low-volume production which has seen its workloads surge in the last year. It is extending its facility at Halesfield, Telford, by 40 per cent (45,000 sq ft) to accommodate additional injection moulding and CNC machinery, production cells and offices. Protolabs employs 430 people at Telford, with more on the way. Bjoern Klaas, Vice President and Managing Director of Protolabs Europe, said that the business grew in 2018 in double digits, for the 12th year running. Injection moulding work was up 26%, CNC rose 24% and 3D printing at its Munich site was up 20%. “We are expecting significant double digit growth next year as we see more work in sectors such as automotive, aerospace, electronics and computing, communications and medical technology,” said Mr Klaas. The next step is to encourage closer working between clients and its design engineering consultancy team, helping companies speed up development work and bring new products to market even faster. For West Midlands industry as a whole, Brexit remains an issue. Mark Adams, managing director of furniture manufacturer Vitsoe, echoes EEF’s Charlotte Horobin’s observation that there is a strong need for certainty. In 2017 Vitsoe moved from Camden to a new, purpose-built, 40,000 sq ft factory in Leamington Spa. But Brexit headwinds and the retail slowdown have been making life tough over the last 12 months. “When we started putting this project together, Brexit wasn’t even on the horizon,” said Adams. “We were fully committed by the time the vote happened, with all the vagaries that has meant for British manufacturing and retail and the exchange rates. “We are holding on tight and hoping that in 12 months’ time things will be looking brighter,” he concluded. Totally Modular crosses the barrier between manufacturing and construction with its steel-framed, modular houses. Credit: Totally Modular. Above: Westfield’s autonomous, electrically-powered ‘Pods’ are at the heart of autonomous vehicle development in South Korea.